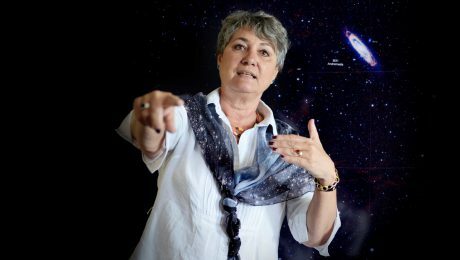 Astronomer Prof. Renée C. Kraan-Korteweg’s work on the large-scale structure and distance scale of galaxies has made her an internationally-recognised researcher, but it is as leader and educator that this quiet-spoken astronomer has also excelled throughout her career. Tien jaar gelede het dr Elmi Muller die eerste nieroorplantings in Suid-Afrika op MIV-positiewe ontvangers gedoen. Sy het sedertdien al 51 sulke oorplantings gedoen. Ten years ago, Dr Elmi Muller performed the first kidney transplant on HIV positive patients in South Africa. She has since done 51 such operations. October 12, 2018 in #LegendsofSouthAfricanScience. August 19, 2018 in #ShisaSayensi, Innovation. July 13, 2018 in #LegendsofSouthAfricanScience. June 26, 2018 in Climate & Earth.